Club Penguin Cheats by Mimo777 Club Penguin Cheats by Mimo777: Club Penguin New Blog! Club Penguin updated the CP Blog. Check it out! You can even reply to peoples comments! What do you think of the new blog? 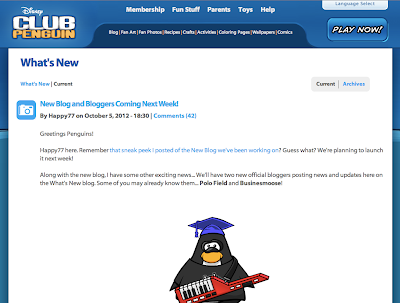 Do you even ever go to the CP blog?